Cory Gregson felt like a new draftee when he lined up for the Cats in round one, 638 days since his last AFL match. Another ruined season for the small forward, with the foot injury that shattered the end of his 2016 campaign ruling him out for the year. 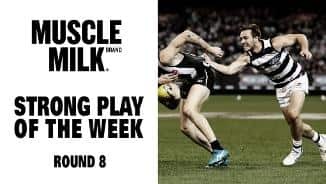 Didn’t play a game at any level after a second bout of surgery late in 2016, spening last season in the gym where he piled on five kilograms of upper body strength. Started running just as the season ended and will be keen for a fresh crack at his AFL dream. 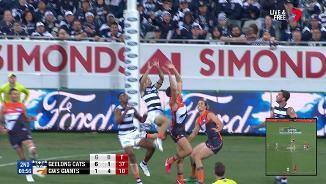 Player honours: NAB AFL Rising Star nominee 2015. 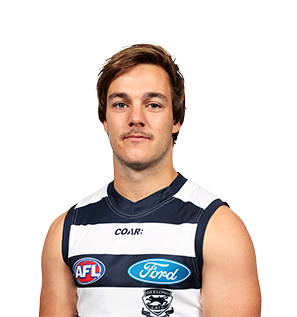 Draft history: 2014 NAB AFL Draft 3rd round selection (Geelong) No. 47 overall.